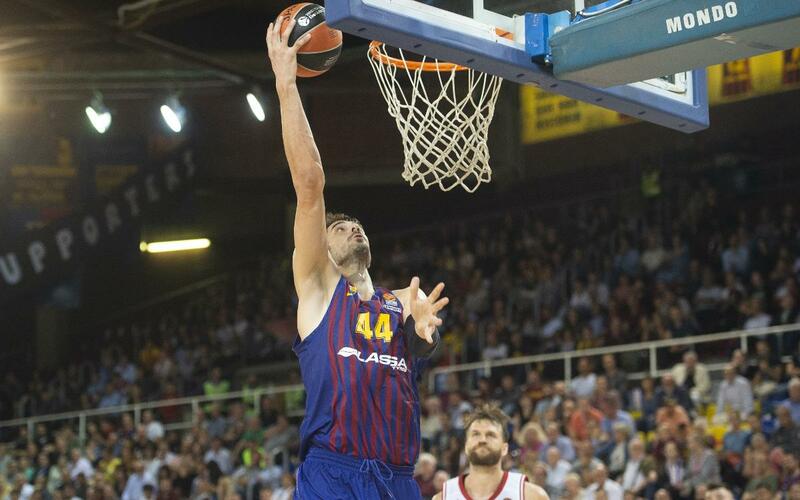 Barça Lassa set out their stall in the Euroleague with an 18-73 victory over Bayern Munich on Thursday night, besting the persistent German side with the help of a strong 18-point showing from Ante Tomic. Controlling the defensive boards and generating plenty of offensive options, Barça Lassa took a 15-point lead during the first quarter, which ended 26-17. Bayern Munich reduced the gap to as little as 6 points in the second quarter, but a good defensive showing in the final minutes took the game into halftime with the score at 44-36. A 5-9 run in the early stages of the third period tightened the score up, but intensity on defense and a fluid offense from Coach Svetislav Pesic's men saw Barça Lassa recover. In the final quarter, Bayern lowered the advantage to 10 points, but the home team held out for the 83-73 win. The win was the first for Barça Lassa in Europe this term, and their next fixture comes in the Liga Endesa, away to Valencia Basket on Sunday (7:15pm local time).